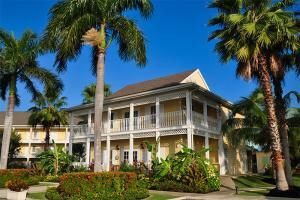 This warm Caribbean style all-suite hotel is located less than 200 yards from Grand Cayman's famous Seven Mile Beach. The hotel is next door to the luxurious Ritz-Carlton Resort and adjacent to North Sound Golf Course. Sunshine Suites Resort features 130 studio suites, deluxe suites and one-bedroom suites - all with fully equipped kitchens. Located in the heart of Seven Mile Beach.